Thanksgiving is obviously a time of gratitude and appreciation and it’s also the time for shining things to be on display in your house. If you wanna choose one type of decoration for this occasion, tulips never fail your hope! 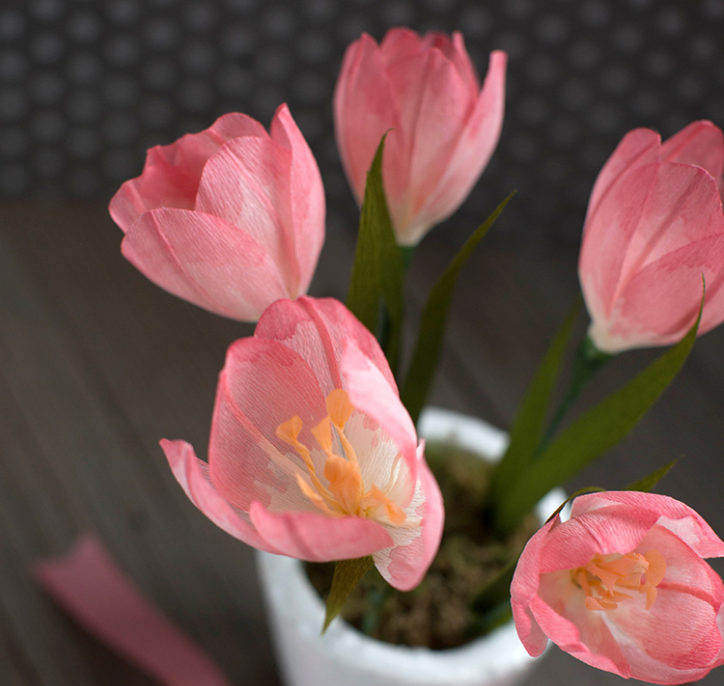 This signature spring flower is a wonderful way to bring some much-needed light into your home decor, and we’re showing you how to make these beautiful blooms out of crepe paper. 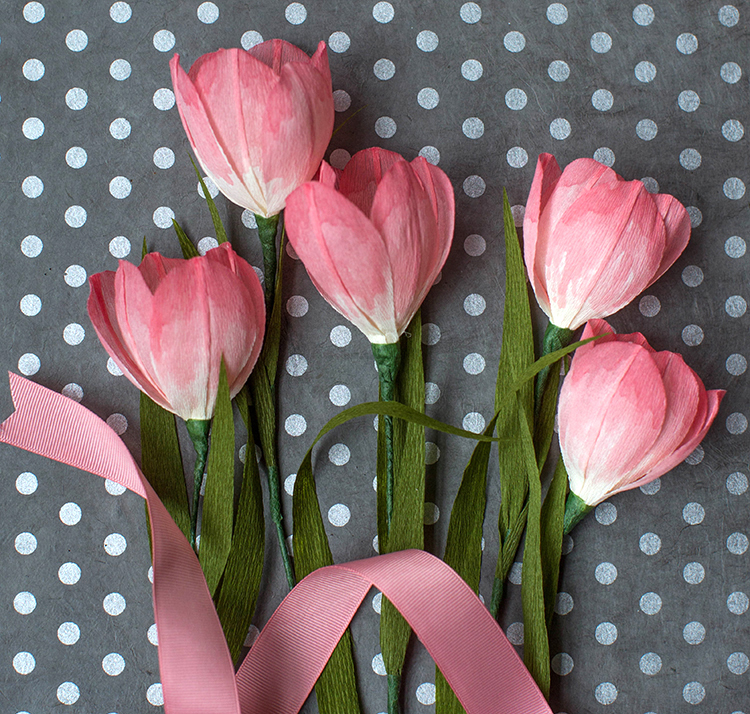 With this paper Tulip, you can even create a gorgeous Thanksgiving pop up cards and send it to your beloved ones. Step 1: To make the flower stamens, twist each piece of fringe as shown, leaving the tip rounded. One the second, non-fringed centerpiece, twist the center of the crepe strip once. Step 2: Fold the twisted flower center in half and glue around the floral wire, then glue the twisted stamen piece around the base. Color the rounded tips of the centerpieces with a yellow marker. Step 3: Use a pink marker to color the petals and let dry. Add another layer of color to the tip of the petals to create a gradient effect. Step 5: Fold the petal in half, slightly off center. Fold the wider side again to create a seam in the petal (see photo tutorial below). Add a tiny amount of glue to either end to secure. Step 6: Gently curl the petals with the edge of scissors. Stretch the petals on either side of the crease. Step 7: Glue 3 petals evenly around the center of the flower, then glue the last three between. Step 8: Wrap the base of the flower and floral wire with floral tape, attaching the leaves to the stem near the bottom with a dot of glue and more tape. 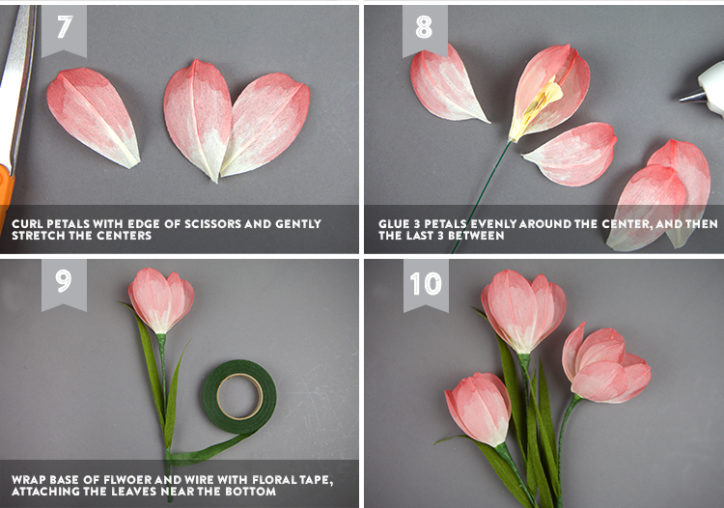 If you want your dear eyes to experience visual guide, don’t hesitate to take a look at the photo tutorial below to crafting your crepe paper tulips! 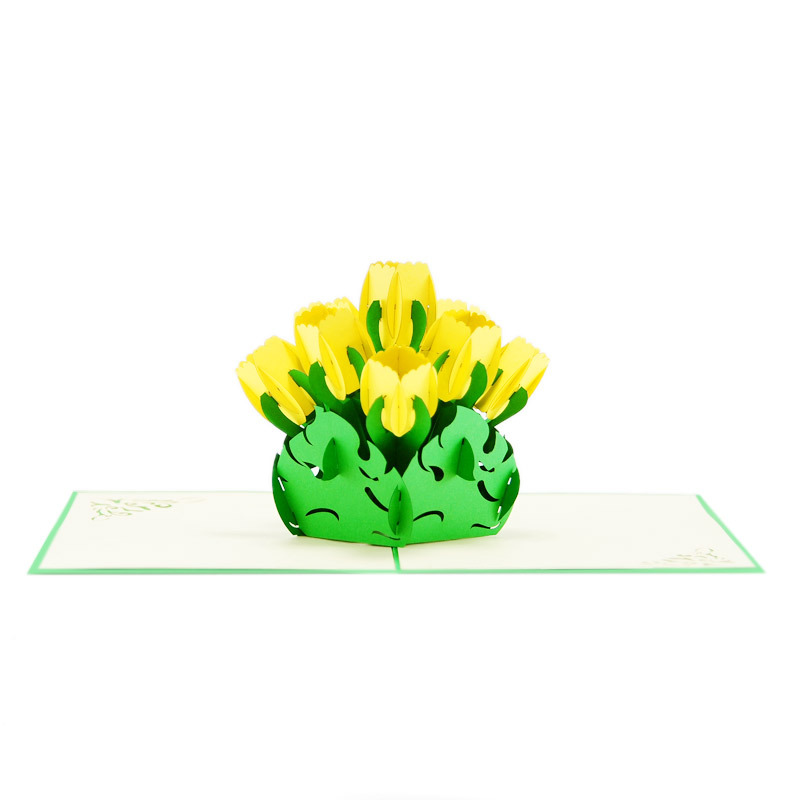 Tulips pop up card has a green cover that features beautiful tulips flowers. The image reveals just enough of the surprise inside. Open the card and you will find a stunning three-dimensional sculpture of a yellow tulip bush. Superbe modèle, un grand merci, c’est très beau! Absolutely adore your cards! Beautiful , creative and unique. Just a phenomenal company with inovative designs for all seasons and occassions. 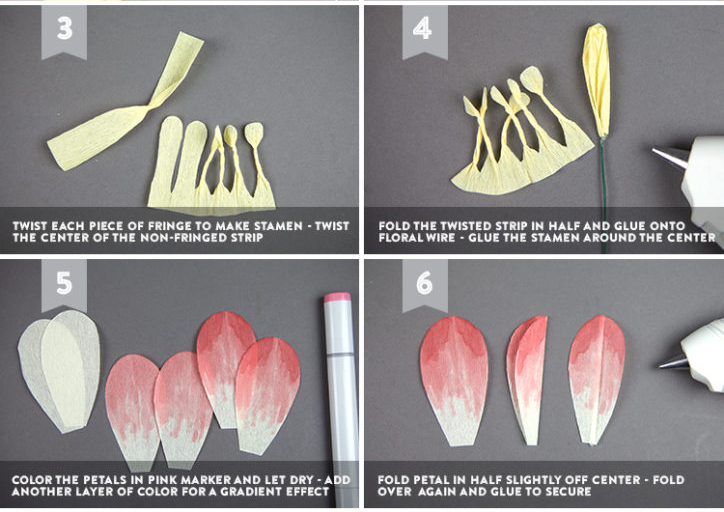 Hey Buddy!, I found this information for you: "Brighten up Thanksgiving with Tulips paper DIY". Here is the website link: https://charmpopcards.com/thanksgiving-pop-up-cards-2-2.html. Thank you.